The sun produces an astronomical amount of energy - 4 million tonnes of joules per second! The world could be powered for a whole year from a single hour of the sun’s energy. As the sun is such a powerful, clean, renewable energy source, it makes sense to harness its incredible power. As technology has improved over time, solar power has become increasingly popular across the globe over the years. Offering huge cost savings on electricity bills, as well as an environmentally friendly approach to living, solar panel systems have become the way of the future. While you may be getting great power deals on your electricity, solar power provides you with the opportunity to power your property using free energy. If you accumulate more power than you’re using, you can easily sell your solar power back to the grid for account credit from your power provider. 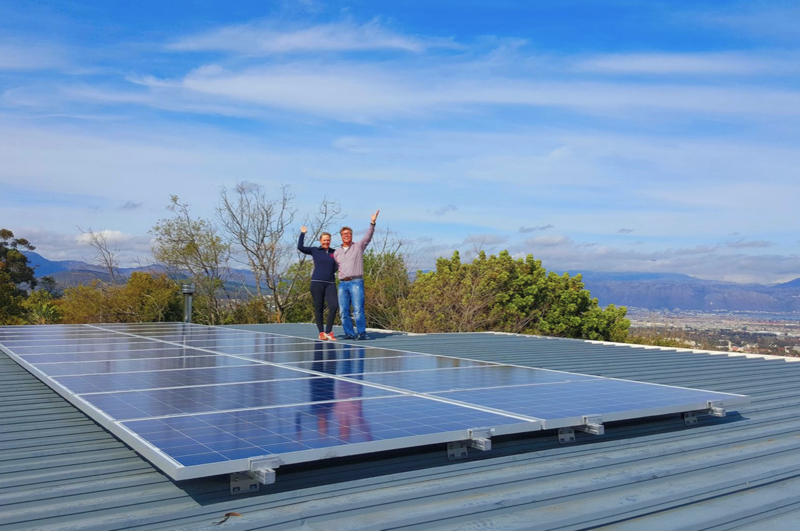 In this blog post, we discuss everything there is to know about solar and why you should get solar power for your home or business. The type of solar panel system that you would generally see on someone’s roof is called a photovoltaic solar panel system. To break it down, ‘photo’ means light and ‘voltaic’ means to do with electricity. The photovoltaic panels on the roof converts the sun’s light directly into electrical energy (specifically, direct current ‘DC’). Then, an inverter converts the DC electricity into alternating current (‘AC’). AC electricity is the type of electrical current that you’d typically use to plug anything into a wall socket in your home. When solar panels are in the roof, the system’s electrical panel se nds the converted power to your appliances and lights. Solar panels work best in sunny regions - such as Auckland, Nelson, Marlborough and Bay of Plenty - and work best on a north facing roof. The most popular uses of solar energy in residential homes it to power fans, heat swimming pools, charge batteries, heat water and to cook with. Thanks to product warranties, most solar panel systems are guaranteed and covered for decades, usually ranging from 5 to 25 years! Their parts don’t wear out very easily, and require little to no maintenance - although an annual checkup by a certified electrician is recommended. With the world facing the prospect of global climate change, we all hope for advances in technology that slow down this progression. However, as the world is turning to focus on generating clean, renewable power, solar energy has had a significant rise in importance. Electricity production has been responsible for a huge percentage of carbon emissions in New Zealand. This is why solar power is the way of the future - it does not produce any greenhouse gas emissions or any air pollution during operation. Compared to any other energy source in New Zealand, solar energy has the least negative impact on the environment. The average residential home emits, on average, 20 metric tons of carbon pollution annually. By installing solar panels, a typical two person house can reduce their carbon emissions by up to 4 tonnes each year! And by switching to solar, you get to be less dependent upon your power company, as well as help to protect the environment for many generations to come. Most power plants create electricity from fossil fuels such as coal; when you run your home using the sun’s free power, you reduce your need for energy from your utility. As a result, the power plant will emit less carbon based pollution to produce the electricity your home needs. And unlike many other energy sources, there is no risk of damage to our environment. Solar power will never create massive oil spills, will never have chemical leaks, will never poison our waters and will never destroy a mountaintop ecosystem. Elon Musk, CEO and co-founder of Tesla Motors, has a well earned reputation for designing innovative 21st century products with exceptional performance and attractive designs. Two years ago, Elon Musk promised the world that Tesla would produce solar panels that are virtually indistinguishable from roof tiles. In 2016, Elon unveiled prototypes of Telsa’s Solar roof tiles - they came in four styles that looked just like normal roofing material, but with all the benefits of solar roofing. The Tesla solar roof is a building-integrated photovoltaic product that takes the same functionality of solar panels and integrates them into roof shingles. With Tesla’s solar roof, there’s no need to install solar panels to generate electricity - which some owners find visually unappealing. Solar roofs are made with tempered glass, making them three times stronger than standard roofing tiles. This has allowed Tesla to offer an infinite tile warranty - the best warranty in the industry. Tesla is accepting deposits from around the world to reserve solar roof tiles, and recently announced that they are ramping up production of the solar shingle product at their Buffalo Gigafactory. You can place your reservation for only $1,420. If you’re thinking of investing in Tesla’s solar power roof tiles, head on over to their website. It’s easy to see why so many property owners throughout the world are turning to solar energy to power their homes. Solar energy provides great cost savings to home and business owners, as well as helping them commit to a cleaner, greener environment. Are you ready to go solar and start reaping the benefits of the sun’s free energy? Now is the time to join the tens of thousands of Kiwis already enjoying the many benefits that solar power has to provide.